Monetary Intelligence theory asserts that individuals apply their money attitude to frame critical concerns in the context and strategically select certain options to achieve financial goals and ultimate happiness. This study explores the bright side of Monetary Intelligence and behavioral economics, frames money attitude in the context of pay and life satisfaction, and controls money at the macro-level (GDP per capita) and micro-level (Z income). We theorize: Managers with low love of money motive but high stewardship behavior will have high subjective well-being: pay satisfaction and quality of life. Data collected from 6586 managers in 32 cultures across six continents support our theory. Interestingly, GDP per capita is related to life satisfaction, but not to pay satisfaction. Individual income is related to both life and pay satisfaction. Neither GDP nor income is related to Happiness (money makes people happy). Our theoretical model across three GDP groups offers new discoveries: In high GDP (rich) entities, “high income” not only reduces aspirations—“Rich, Motivator, and Power,” but also promotes stewardship behavior—“Budget, Give/Donate, and Contribute” and appreciation of “Achievement.” After controlling income, we demonstrate the bright side of Monetary Intelligence: Low love of money motive but high stewardship behavior define Monetary Intelligence. “Good apples enjoy good quality of life in good barrels.” This notion adds another explanation to managers’ low magnitude of dishonesty in entities with high Corruption Perceptions Index (CPI) (risk aversion for gains of high probability) (Tang et al. 2015. doi: 10.1007/s10551-015-2942-4). In low GDP (poor) entities, high income is related to poor Budgeting skills and escalated Happiness. These managers experience equal satisfaction with pay and life. We add a new vocabulary to the conversation of monetary intelligence, income, GDP, happiness, subjective well-being, good and bad apples and barrels, corruption, and behavioral ethics. Portions of this paper were presented at the Academy of Management Annual Meeting, Lake Buena Vista (Orlando), Florida, August 9–13, 2013. 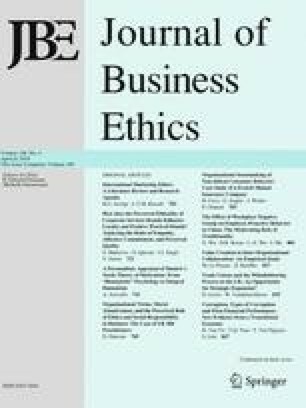 We would like to thank Editor-in-Chief Alex C. Michalos for his dedication to the Journal of Business Ethics and his encouragement, inspiration, and continuous support of our research projects. The senior author would like to thank Faculty Research and Creative Activity Committee of Middle Tennessee State University and all co-authors’ respective institutions for financial support, late Fr. Wiatt Funk and late Prof. Kuan Ying Tang and Fang Chen Tang for their inspiration, and pay special tribute to Prof. Horia D. Pitariu who passed away on March 25, 2010. Adebowale Akande would like to thank Bolanle E. Adetoun, Modupe F. Adewuyi, and Titilola Akande for their assistance. Levy, F. (2010). Happiness Table: The world’s happiest countries. http://www.forbes.com/2010/07/14/world-happiest-countries-lifestyle-realestate-gallup-table.html. Sacks, D. W., Stevenson, B., & Wolfers, J. (2010). Subjective well-being, income, economic development and growth. CESifo Group, Munich, CESifo Working Paper Series: 2106. www.CESifo-group.org/wp.